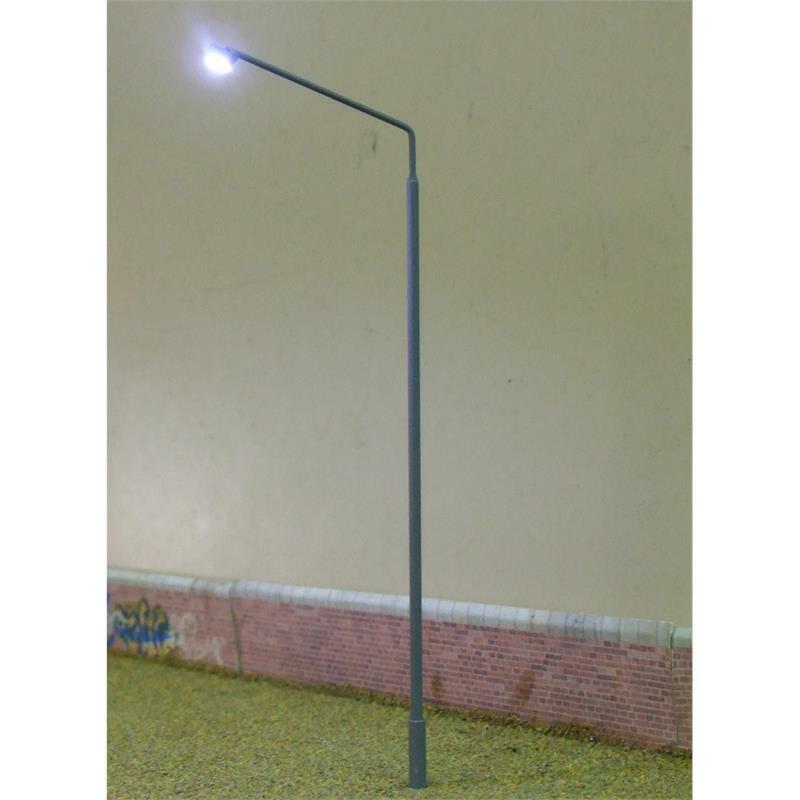 Description A modern style street light with a high intensity White LED light Constructed in brass and finished in grey paint. The height above baseboard is 110 mm. A resistor is supplied to power the lamp from 12V DC.